Fishing was a bit slow this week compared to last. 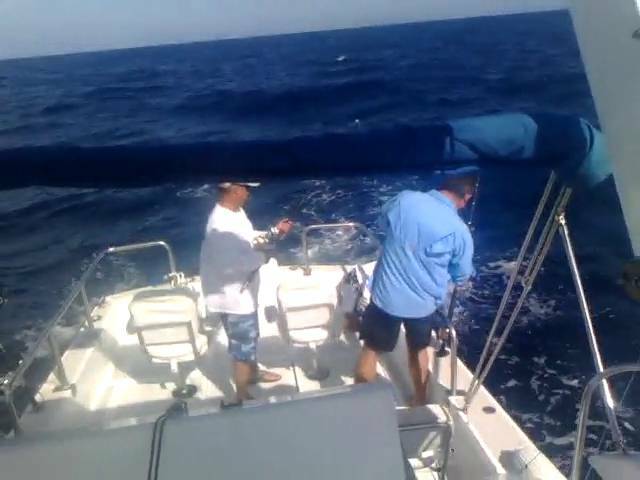 We saw scattered catches of marlin, wahoo and smaller game, but not in high numbers like the weeks before. The only billfish caught this week were striped marlin, but it may have to do with the weather, cool and cloudy, and water temperature, that as we have mentioned before, is warmer than usual. Stripers prefer waters around 70 F, and we are still experiencing temperatures as high as 78 F, so these factors may be adding up. However the Ursula IV boat and angler Billy lee caught two striped marlin, the most by any one boat, out of the Antena on mackerel. 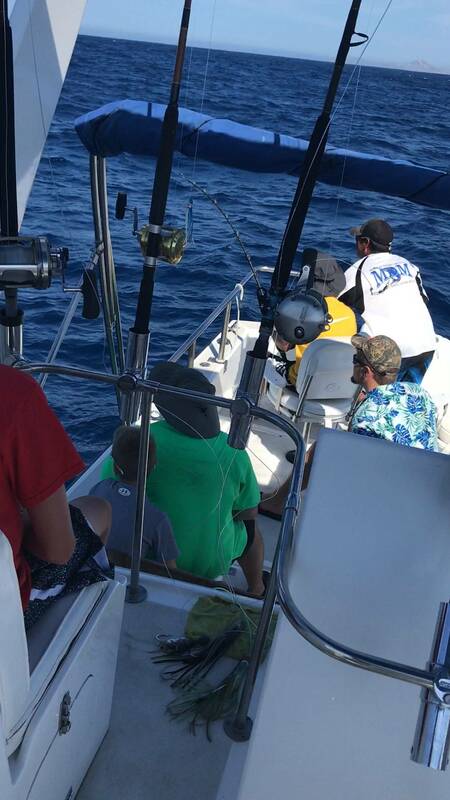 Billy and friends also landed nine dorados ranging from 15 to 25 lbs and one 15 lb wahoo. These were caught on green and blue/white lures. Dorado and wahoo have again lead this week with most fish caught for other species, although the dorado were a little harder to find. Sunday and Monday were great days for dorados, with most boats catching up to ten or more dorados each. Anglers Rullys and her friends had just this luck, catching 10 dorados in one day, aboard the Tracy Ann. However, other days were slower with dorado catches, and we saw boats heading closer to shore to catch sierra, roosters, skipjacks, triggerfish, jack crevelle, yellowtails and red snappers, finding them in quite good numbers. Total number of fish caught: 8 billfish, 44 dorado, 11 tuna, 19 wahoo, , 22 jack crevelle, and 1 yellowtail. WEATHER CONDITIONS: Mostly sunny with some cloudy days, fresh, calm seas.